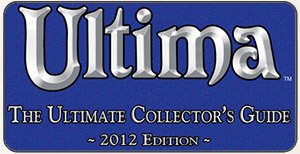 Ultima Online is migrating to a new account center and billing system. These changes are essential to the future and progress of Ultima Online. On the surface the look and feel of the Account Center will change. Your page, as always, will be filled with personal entitlement (e.g. gametime, expansions, boosters) and other account information. Electronic Arts is transitioning to a more robust payment system. Ultima Online’s current payment system is built on old technology, and if we want to insure the success of the product we need a more advanced platform. In addition, the account center will ultimately broaden payment options for our European players. An additional feature is the capacity for trial accounts to immediately join the game without waiting for the full 14 days. More importantly, for recurring players, we will have a fresh and solid platform that will effectively and correctly track account age. Finally, the system will be fully integrated with the functionality of broader Electronic Arts. If you’ve created a Nucleus account with Electronic Arts, you should be familiar with the interface and process of viewing and interaction with your player account information. If you are not sure what any of this means, we’ve put together some common questions you may have. Is your billing and account information secure? Absolutely. One of the key reasons for updates to the current registration page and account center is to take advantage of the increased security offered by new web technologies. The first step in this transition is to make certain all your account information is safe. All changes and updates are in line with Electronic Arts Terms of Service. Thank you for your continued support and we’ll see you in the game! If you read the article, you’ll see a link to an Account Migration FAQ at UOHerald.com. * The account center goes offline on August 5, 2011, and will be back up August 11, 2011. * Another acknowledgement from Electronic Arts that we still exist! Good point here. We actually have taken a LOT of time on the backend to make sure this doesn’t happen. We know that the majority of our players put time into their homes, so we taken a few precautions to make sure this does not happen. * Account Center will change – I think this is not as important as some of the others, although it definitely feels dated and could use some work, especially in regards to new players. * Transitioning to a new system, the overall Electronic Arts. This probably means we’ll access things through Origin.com, which is what EA is planning to use as its portal for all of its online gaming needs, whether it’s browser-based games or MMOs or game stores. * Trial accounts can be turned into regular accounts without waiting 14 days, once payment is made. * Account age will be properly tracked. * It sounds like you might be using your email information to login. I hope not – I have several accounts tied to one email address. * It also sounds like you can migrate everything to one single Master EA account. This would be nice for those players with a lot of accounts. * Since it is an overhaul of the account system, we might see houses decaying that should have already decayed, including those on accounts that are inactive or banned, but were somehow still flagged as being active. * Could help make it easier to use UOGameCodes.com and remove some of the confusion that sometimes arises. In the past, developers have spoken of how difficult it is to get something added to UOGameCodes.com. Maybe they’ll bring UOGameCodes.com under this. * Might mean that the EA game cards we can buy in various stores might be able to be used with UO game time or UOGameCodes.com purchases. * Should fix all of the MyUO problems, such as when people check the profiles of other players when considering them for guilds, etc. 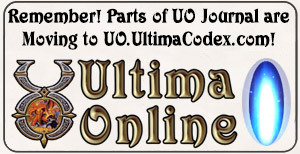 * Might also be a sign of work being done on UOHerald, preferably to convert it back to UO.com, similar to Dark Age of Camelot’s recent migration from CamelotHerald.com to DarkAgeofCamelot.com, complete with a website design overhaul.